SPOUSES QUIRINO V. DELA CRUZ AND GLORIA DELA CRUZ, Petitioners, v. PLANTERS PRODUCTS, INC., Respondents. All obligations of the undersigned under this Trust Receipt shall bear interest at the rate of twelve per cent (12%) per annum plus two percent (2%) service charges, reckoned from the date Dealer delivers to farmer-participants the fertilizer and agchem products. Where I/We have not delivered within 60 days, interest and service charges shall become effective on the 61st day. If there are two or more signatories, our obligations hereunder shall in all cases be joint and several. All expenses and charges incurred by PPI in re-possession of said fertilizer and agchem products, and in securing delivery of the same to a bodega or storage place in Manila or at some other place selected by it shall be for my/our account and shall be repaid to PPI by me/us. 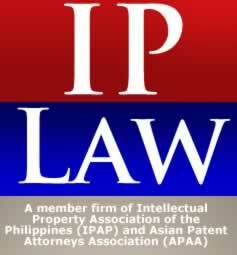 Should it become necessary for PPI to avail of the services of an attorney-at-law to initiate legal steps to enforce any or all of its rights under this contract, we jointly and severally, shall pay to PPI for and as attorney’s fees a sum equivalent to twenty per cent (20%) per annum of the total amount involved, principal and interest, then unpaid, but in no case less than FIVE HUNDRED PESOS (P500.00), exclusive of all costs or fees allowed by law. This invoice is subject to the terms and conditions stipulated in our contract. Under no circumstance is this invoice to be used as a receipt for payment. Interest at 14% per annum plus service and handling charges at the rate of 10% per annum shall be charged on all overdue accounts, and in the event of judicial proceedings to enforce collection, customer shall pay the Company an amount equivalent to 25% of the amount due for and as attorney’s fees which in no case shall be less than P200 in addition to cost of suit. The products were released to Gloria under the supervision of Cristina G. Llanera of PPI. On November 17, 1981, PPI brought against Quirino and Gloria in the erstwhile Court of First Instance in Pasig, Metro Manila a complaint for the recovery of a sum of money with prayer for a writ of preliminary attachment.23 PPI alleged that Gloria had violated the “fiduciary undertaking in the Trust Receipt agreement covering product withdrawals under the Special Credit Scheme which were subsequently charged to defendant dealer’s regular credit line; therefore, she is guilty of fraudulently misapplying or converting to her own use the items delivered to her as contained in the invoices.” It charged that Gloria did not return the goods indicated in the invoices and did not remit the proceeds of sales. The RTC found that based on the terms and conditions of the SCS Program, a creditor-debtor relationship was created between Gloria and PPI; that her liability was predicated on Section 4 of the Trust Receipts Law (Presidential Decree No. 115) and on the ruling in Robles v. Court of Appeals27 to the effect that the failure of the entrustee (Gloria) to turn over to the entruster (plaintiff) the proceeds of the sale of goods covered by the delivery trust receipts or to return the goods constituted estafa punishable under Article 315(1)(b) of the Revised Penal Code; and that the petitioners could not use as a defense the occurrence of typhoon Kading because there was no privity of contract between the participating farmers and PPI. THE LOWER COURT ERRED IN HOLDING THAT DEFENDANT GLORIA DELA CRUZ WAS AN ACCREDITED DEALER UNDER THE SPECIAL CREDIT SCHEME AND PURCHASED ON CREDIT FERTILIZERS AND CHEMICALS FROM PLAINTIFF. THE TRIAL COURT ERRED IN HOLDING THAT DEFENDANTS ARE PRIMARILY LIABLE FOR THE FERTILIZERS AND CHEMICALS COVERED BY THE ORDER FORMS, DELIVERY RECEIPTS AND TRUST RECEIPTS. THE TRIAL COURT ERRED IN HOLDING THAT THE SPECIAL CREDIT SCHEME/LINE GRANTED TO DEFENDANT GLORIA DELA CRUZ WAS CONVERTED TO A REGULAR LINE. THE TRIAL COURT ERRED IN FINDING FOR THE PLAINTIFF AND NOT FOR THE DEFENDANTS-APPELLANTS. WHEREFORE, premises considered, the instant appeal is hereby DENIED, and the impugned Decision dated 29 October 1997 of Regional Trial Court of Makati City, Branch 66 is hereby AFFIRMED in toto. Costs against Defendants-appellants. On June 9, 2003, the CA denied the petitioners’ motion for reconsideration. Hence, the petitioners are now before the Court via their petition for review on certiorari. The petitioners did not deny that Gloria applied with PPI for a credit line of P200,000.00; and that Gloria signed up for the SCS Program of PPI. The principal issue they now raise is whether the two transaction documents signed by Gloria expressed the intent of the parties to establish a creditor-debtor relationship between them. The resolution of the issue is necessary to resolve the corollary issue of whether the petitioners were liable to PPI for the value of the fertilizers and agricultural chemical products delivered to Gloria, and, if so, by how much. It is apparent, however, that the petitioners are focusing on the evidentiary value of Exhibit V, the statement of account showing that Gloria was liable in the total amount of P240,355.10 as of July 9, 1985, and are in the process avoiding the pivotal issue concerning the nature of the contract between them and PPI. Nonetheless, the issue of liability sprang from the terms of the contractual documents Gloria had signed. For them to question the amount of their liabilities without explaining why they should not be held liable veritably constituted their tacit admission of the existence of the loan but assailing only how much they should repay to PPI. The petitioners aver that “in a surprising turn of events, when it appeared that no further collection could be had, [PPI] unilaterally and arbitrarily converted and charged its receivables from the farmers-participants against petitioner’s regular credit line,” and PPI thereafter sent the demand letters to Gloria.33 Considering that the documents signed by Gloria governed the relationship between her and PPI, the controversy can be resolved only by an examination of the contractual documents. 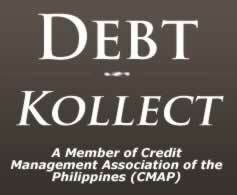 As earlier mentioned, Gloria signed the application for credit facilities on March 23, 1978, indicating that a trust receipt would serve as collateral for the credit line. On August 4, 1978, Gloria, as “dealer,” signed together with Quirino the list of their assets having a total value of P260,000.00 (consisting of a residential house and lot, 10-hectare agricultural lands in Aliaga and Talavera, and two residential lots) that they tendered to PPI “to support our credit application in connection with our participation to your Special Credit Scheme.”34 Gloria further signed the Trust Receipt/SCS documents defining her obligations under the agreement, and also the invoices pursuant to the agreement with PPI, indicating her having received PPI products on various dates. The fourth circumstance had to do with the undertakings under the trust receipts. The position of the petitioners was that the farmers-participants alone were obligated to pay for the goods delivered to them by Gloria. However, such position had no factual and legal legs to prop it up. A close look at the Trust Receipt/SCS indicates that the farmer-participants were mentioned therein only with respect to the duties and responsibilities that Gloria personally assumed to undertake in holding goods “in trust for PPI.” Under the notion of relativity of contracts embodied in Article 1311 of the Civil Code, contracts take effect only between the parties, their assigns and heirs. Hence, the farmer-participants, not being themselves parties to the contractual documents signed by Gloria, were not to be thereby liable. 2. In case of instruments x x x. There are two obligations in a trust receipt transaction. The first is covered by the provision that refers to money under the obligation to deliver it (entregarla) to the owner of the merchandise sold. The second is covered by the provision referring to merchandise received under the obligation to return it (devolverla) to the owner. Thus, under the Trust Receipts Law, intent to defraud is presumed when (1) the entrustee fails to turn over the proceeds of the sale of goods covered by the trust receipt to the entruster; or (2) when the entrustee fails to return the goods under trust, if they are not disposed of in accordance with the terms of the trust receipts. It is not amiss to point out that the RTC even erred in citing Section 4 of the Trust Receipts Law as its basis for ordering Gloria to pay the total amount of P240,355.10. Section 13 of the Trust Receipts Law considers the “failure of an entrustee to turn over the proceeds of the sale of the goods, documents or instruments covered by a trust receipt to the extent of the amount owing to the entruster or as appears in the trust receipt or to return said goods, documents or instruments if they were not sold or disposed of in accordance with the terms of the trust receipt” as constituting the crime of estafa under Article 315 (b) of the Revised Penal Code. However, had PPI intended to charge Gloria with estafa, it could have then done so. Instead, it brought this collection suit, a clear indication that the trust receipts were only collaterals for the credit line as agreed upon by the parties. To be clear, the obligation assumed by Gloria under the Trust Receipt/SCS involved “the execution of a Trust Agreement by the farmer-participants” in her favor, which, in turn, she would assign “in favor of PPI with recourse” in case of delivery and sale to the farmer-participants. The term recourse as thus used means “resort to a person who is secondarily liable after the default of the person who is primarily liable.”44 An indorsement “with recourse” of a note, for instance, makes the indorser a general indorser, because the indorsement is without qualification. Accordingly, the term with recourse confirms the obligation of a general indorser, who has the same liability as the original obligor.45 As the assignor “with recourse” of the Trust Agreement executed by the farmer participating in the SCS, therefore, Gloria made herself directly liable to PPI for the value of the inputs delivered to the farmer-participants. Obviously, the signature of the representative of PPI found in the demand letters Gloria sent to the farmer-participants only indicated that the Trust Agreement was part of the SCS of PPI. It is worthwhile to note that the application for credit facilities was a form contract that Gloria filled out only with respect to her name, address, credit limit, term, and collateral. Her act of signing the application signified her agreement to be bound by the terms of the application, specifically her acquiescence to use trust receipts as collaterals, as well as by the terms and conditions of the Trust Receipt/SCS. In this regard, whether or not the Trust Receipt/SCS was a contract of adhesion apparently prepared by PPI would neither dilute nor erase her liabilities. A contract of adhesion prepared by one party, usually a corporation, is generally not a one-sided document as long as the signatory is not prevented from studying it before signing. Gloria did not show that she was deprived of that opportunity to study the contract. At any rate, the social stature of the parties, the nature of the transaction, and the amount involved were also factors to be considered in determining whether the aggrieved party “exercised adequate care and diligence in studying the contract prior to its execution.”48 Thus, “[u]nless a contracting party cannot read or does not understand the language in which the agreement is written, he is presumed to know the import of his contract and is bound thereby.”49 Here, Gloria was married to a lawyer who was also then the Municipal Mayor of Aliaga. Both of them signed the list of conjugal assets that they used to support the application for the credit line. The last circumstance was that the petitioners now focus on the amount of liabilities adjudged against them by the lower courts. They thereby bolster the finding that they fully knew and accepted the legal import of the documents Gloria had signed of rendering them personally liable towards PPI for the value of the inputs granted to the farmer-participants through them. The finding is further confirmed by her admission of paying to PPI the amount of P50,000.00, which payment, albeit allegedly made grudgingly, solidified the existence of a creditor-debtor relationship between them. Indeed, Gloria would not have paid that amount except in acknowledgement of an indebtedness towards PPI. The petitioners insist that they could not be held liable for the balance stated in Exhibit V due to such document being hearsay as a “mere statement of account.”50 They argue that Cristina Llanera, the witness of PPI on the matter, was only a warehouse assistant who was not shown to be either an accountant, or bookkeeper, or auditor or a person knowledgeable in accounting. They posit that Llanera’s testimony on Exhibit V was limited to stating that she had prepared the statement of account contained therein; that she did not affirm the correctness or veracity of the contents of the document;51 and that, consequently, Exhibit V had no evidentiary value as proof of their total liability for P240,355.10, the amount stated therein. Section 43. Entries in the course of business. – Entries made at, or near the time of the transactions to which they refer, by a person deceased, or unable to testify, who was in a position to know the facts therein stated, may be received as prima facie evidence, if such person made the entries in his professional capacity or in the performance of duty and in the ordinary or regular course of business. The invocation of the rule is misplaced, however, because the rule speaks of a situation where the person who made the entries is dead or unable to testify, which was not the situation here. Regardless, we have to point out that entries made in the course of business enjoy the presumption of regularity.53 If properly authenticated, the entries serve as evidence of the status of the account of the petitioners. In Land Bank v. Monet’s Export and Manufacturing Corporation,54 the Court has explained that such entries are accorded unusual reliability because their regularity and continuity are calculated to discipline record keepers in the habit of precision; and that if the entries are financial, the records are routinely balanced and audited; hence, in actual experience, the whole of the business world function in reliance of such kind of records. The statement of account discloses that the interest rate was 14% per annum for the “SCS Account – from the invoice date to 7/09/85”; and that the interest rate was 16% per annum for the “Reg. Account – from 8/16/80 to 7/09/85.” The petitioners assail the interest charged on the principal obligation as usurious. The matter of interest, being a question of law, must have to dealt with and resolved. Interest = remaining balance x 12% per annum x no. of years from due date until date of sale to a third party (payment). That the legal interest due is now almost equivalent to the principal to be paid is not per se an inequitable or unconscionable situation, considering the length of time the interest has remained unpaid – almost twelve long years. From the perspective of interest income, twelve years would have been sufficient for the petitioners to double the principal, even if invested conservatively, had they been promptly paid the principal of the just compensation due them. Moreover, the interest, however enormous it may be, cannot be inequitable and unconscionable because it resulted directly from the application of law and jurisprudence – standards that have taken into account fairness and equity in setting the interest rates due for the use or forbearance of money. That is true herein. Although this case was commenced in 1981, the decision of the trial court was rendered only in 1997, or more than 15 years ago. By appealing to the CA and then to this Court, the petitioners chose to prolong the final resolution of the case; hence, they cannot complain, but must bear the consequences to them of the application of the pertinent law and jurisprudence, no matter how unfavorable to them. In granting attorney’s fees, the RTC merely relied on and adverted to PPI’s allegation that the failure of the petitioners to comply with their obligations under the contracts had “compelled [them] to hire the services of a counsel for which it had agreed to an attorney’s fee equivalent to 25% of the total amount recovered exclusive of appearance fee of P1,500.00” as its sole basis for holding the petitioners liable to pay P20,000.00 “as attorneys’ fee and cost of litigation.” In affirming the RTC thereon, the CA did not even mention or deal with the matter of attorney’s fees in its own decision. 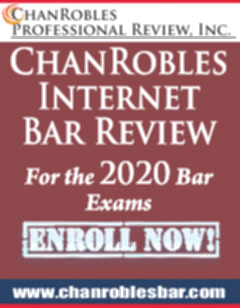 Even so, whenever attorney’s fees are proper in a case, the decision rendered therein should still expressly state the factual basis and legal justification for granting them. Granting them in the dispositive portion of the judgment is not enough; a discussion of the factual basis and legal justification for them must be laid out in the body of the decision. Considering that the award of attorney’s fees in favor of the respondents fell short of this requirement, the Court disallows the award for want of the factual and legal premises in the body of the decision. The requirement for express findings of fact and law has been set in order to bring the case within the exception and justify the award of the attorney’s fees. Otherwise, the award is a conclusion without a premise, its basis being improperly left to speculation and conjecture. The lack of any assignment of error upon the matter of attorney’s fees is of no moment, for the award, being devoid of any legal and factual basis, can be corrected and removed as a matter of law. Finally, the petitioners charge that the CA “failed to consider certain facts and circumstances on record which would otherwise justify a different decision.” The “facts and circumstances” pertained to details relevant to the nature of the agreement of the petitioners, and to the amount of their liabilities. However, an examination reveals that the “facts and circumstances” do not warrant a conclusion that they were not debtors of PPI under the credit line agreement. WHEREFORE, the Court AFFIRMS the Decision promulgated on April 11, 2003 by the Court of Appeals, subject to the MODIFICATIONS that: (a) the rate of interest is 12% per annum reckoned from the filing of the complaint until full payment; and (b) the award of attorney’s fees is deleted. 1 Article 1370, Civil Code. 2 Article 1371, Civil Code. 3Rollo, pp. 45-52; penned by Associate Justice Andres B. Reyes, Jr. (later Presiding Justice), and concurred in by Associate Justice Eugenio S. Labitoria (retired) and Associate Justice Regalado E. Maambong (retired/deceased). 4 Records, Volume I, pp. 413-416. 6 Records, Volume I, p. 389. 7 Exhibit A, records, Volume II, pp. 4-6. 8 Exhibit B, id. at 7. 9 Exhibit J and Exhibit K, id. at 18-19. 14 Exhibit L, Exhibit M and Exhibit S, id. at 20-21, 23. 15 Exhibit N, id. at 22. 16 Exhibit T, id. at 24. 17 Exhibit U, id. at 25. 18 Exhibit C, Exhibit D, Exhibit E, Exhibit F, Exhibit G, Exhibit P, Exhibit Q and Exhibit R, id. at 8-15. 19 Exhibit H, id. at 16. 20 Exhibit W, id. at 27. 21 Exhibit X, id. at 28. 22 Exhibit I, id. at 17. 23 Records, Volume I, pp. 1-5. 25 Records, Volume I, p. 415. 27 G.R. No. 59640, July 15, 1991, 199 SCRA 195. 28 Records, Volume I, p. 417. 30 G.R. No. 126486, February 9, 1998, 286 SCRA 96, 106. 32 CA rollo, pp. 81-106. 34 Exhibit B, records, Volume II, p. 7. 35 Article 1371, Civil Code. 36 Article 1370, Civil Code. 37 G.R. No. 137232, June 29, 2005, 462 SCRA 88. 39 Exhibit A, records, Volume II, pp. 4-6. 40 Rosario Textile Mills Corp. v. Home Bankers Savings and Trust Co., supra note 36, citing Samo v. People, Nos. L-17603-04, May 31, 1962, 5 SCRA 354, 356-357. 41 Id., citing Vintola v. Insular Bank of Asia and America, No. L-73271, May 29, 1987, 150 SCRA 578, 583. 42 Manila Trading & Supply Co. v. City of Manila, 105 Phil. 581, 586 (1959). 43 G.R. No. 166884, June 13, 2012, citing Colinares v. Court of Appeals, G.R. No. 90828, September 5, 2000, 339 SCRA 609, 619-620; Gonzalez v. Hongkong and Shanghai Banking Corporation, G.R. No. 164904, October 19, 2007, 537 SCRA 255, 272; Allied Banking Corporation v. Ordoñez, G.R. No. 82495, December 10, 1990, 192 SCRA 246, 254; Ching v. Secretary of Justice, G.R. No. 164317, February 6, 2006, 481 SCRA 609, 633. 44Metropol (Bacolod) Financing & Investment Corporation v. Sambok Motors Company, No. L-39641, February 28, 1983, 120 SCRA 864, 867, citing Ogden, The Law of Negotiable Instruments, p. 200, citing Industrial Bank and Trust Company v. Hesselberg, 195 S.W. (2d) 470. 46 See Rosario Textile Mills Corp. v. Home Bankers Savings and Trust Co., supra note 36, at 94-95. 47 7A Words and Phrases 142, citing Thomson-Houston Electric Co. v. Capitol Electric Co., 56 F. 849, 854. 48Panlilio v. Citibank, N.A., G.R. No. 156335, November 28, 2007, 539 SCRA 69, 92. 49Swift Foods, Inc. v. Mateo, Jr., G.R. No. 170486, September 12, 2011, 657 SCRA 394, 409. 52Barayuga v. Adventist University of the Philippines, G.R. No. 168008, August 17, 2011, 655 SCRA 640, 657. 53Basay v. Hacienda Consolacion, G.R. No. 175532, April 19, 2010, 618 SCRA 422, 431. 54 G.R. No. 184971, April 19, 2010, 618 SCRA 451, 458-459. 55Bangayan v. Rizal Commercial Banking Corporation, G.R. No. 149193, April 4, 2011, 647 SCRA 8, 27; Deheza-Inamarga v. Alano, G.R. No. 171321, December 18, 2008, 574 SCRA 651, 657. 56Solidbank Corporation v. Permanent Homes, Incorporated, G.R. No. 171925, July 23, 2010, 625 SCRA 275, 284 citing Philippine National Bank v. Spouses Encina, G.R. No. 174055, February 12, 2008, 544 SCRA 608, 618. 57Toledo v. Hyden, G.R. No. 172139, December 8, 2010, 637 SCRA 540, 547, citing Medel v. Court of Appeals, G.R. No. 131622, November 27, 1998, 299 SCRA 481, 489-490. 58 G.R. No. 97412, July 12, 1994, 234 SCRA 78, 95-97. 59PCI Leasing and Finance, Inc. v. Trojan Metal Industries Incorporated, G.R. No. 176381, December 15, 2010, 638 SCRA 615, 629. 60 G.R. No. 164195, October 12, 2010, 632 SCRA 727, 757-758. 61Lozano v. Ballesteros, G.R. No. 49470, April 8, 1991, 195 SCRA 681, 691; OMC Carriers, Inc. v. Nabua, G.R. No. 148974, July 2, 2010, 622 SCRA 624, 639. 62 G.R. No. 155830, August 15, 2012.